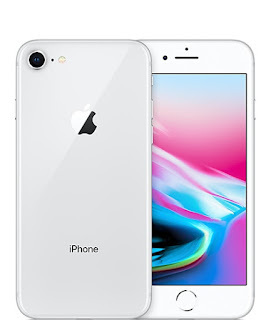 iPhone X , 6s/7/8 users are facing issue using Google maps with latest release of iOS11 ie iOS 11.4. The apps is crashing every time while accessing some location over it. 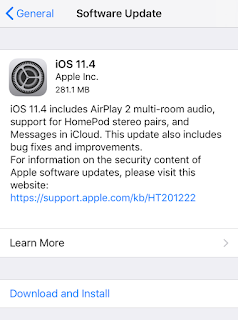 The problem with Google maps started only after upgrading the iPhone to iOS 11.4.Apple have recently released the iOS 11.4 with AirPlay 2 support which allows you to control your home audio system through your phone, HomePod stereo pair, Messages in iCloud and fix for the ‘black dot’ issue which was causing crash to iPhone operating system. A similar issue was reported with iOS 11 release in Sep 2017 when typing a certain character was causing iOS to crash. 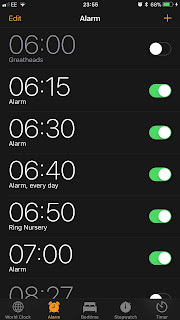 iPhone X and other iPhone 6/7/8 user are facing issue with iPhone alarm that alarm does not ring every time. The alarm issue in iPhone is not regular and happens randomly, making the reliability poor. This is apparently iOS 11 bug that mutes your iPhone timers. When iPhone miss an alarm the screen will keep showing the alarm screen with the alarm info. Alarm is going off (visible on the screen) but no volume.The issue is even reported with iPhone X with iOS 11.2/iOS 11.3. One reddit user reported as : "Set an alarm to wake up at 4:00am for work and it didn’t actually ring until I was on break at 9:00." iPhone alarm doesn't go off is not a new issue in the iPhone as the issue was also reported in the previous version of iOS 10. The alarm just misses to ring randomly in iPhone. In case you try to set multiple alarms in the iPhone, the first alarm usually works, but the second one fails randomly. Many iPhone users are facing issue in iOS 11 or even on iOS 11.3 and iOS 11.4 beta, that proximity sensor is turning on or active. If you cover it with your finger the display shuts off, this is in apps or the homes screen. The proximity sensor in iPhone is near the front camera to detect when you are listening to call by placing it near to phone and it will turn offthe screen of iPhone so that random touches does not happens accidently on the call screen. Many iPhone 8 and 8 plus users are complaining issue in the phone that the iPhone 8 makes a strange noise when home button is pressed or when it vibrates or when you 3D touch the screen.This may be described as a cracking noise. This is not happening every time but can be observed after some time. It seems to happen randomly when multiple notifications come in back to back. It almost sounded like the sound was coming from the speaker. It’s not a clicking noise, mine truly sounds like the “buzzer”. 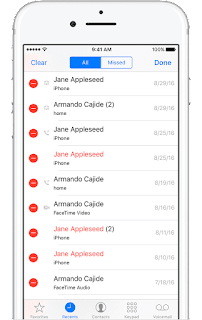 Many iPhone users are facing the issue while downloading or updating the installed apps that iPhone is not updating or downloading apps because of billing information. Surprisingly the issue is occurring for free apps as well. While you make to install or update an existing apps the iPhone tells that the purchase is declined. Even when you have money in your account you may still see this error message while updating apps in iPhone.There is no clue that why iPhone is saying my method has been declined. iPhone 7/8 #Images/Gif not showing in iMessage, says "no images found"
Many iPhone users after upgrading to iOS 11/11.3 are facing issue that after the upgrade #images, gifs and images are no longer showing in iMessage. The issue is happening across all type of iPhones 6/7 and even with latest iPhone X/8. For some iPhone users the #images only work with WIFI. As you must be aware that iMessage are enabled for certain countries but the issue is still reported from those one. 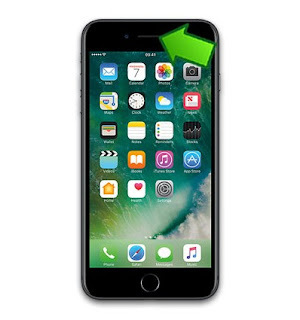 The #images not working in iphone is reported to happen after the user upgrade to iOS 11, and was working fine with iOS10. This very annoying for many users as any search for #images or GIFs to add to iMessage is saying "no images found" even with a simple search such as good night. Hard Reset or even a factory reset to iPhone does not seems to fix the issue. And this is quite sure that some changes in iOS 11 have made #images to work in iMessages. Many iPhone users including iPhone 5s/6s/7 and iPhone 8 users are complaining about an issue in iPhone that while trying to transfer photos to laptop or PC they can't transfer all photos from iPhone to pc as iPhone not showing all photos on computer. It is not like that all photos are not visible in PC but there are many random photos that are missing from iPhone when accessed in Computer. For some users this is happening for thousands of photos and user is unable to transfer photos to PC. 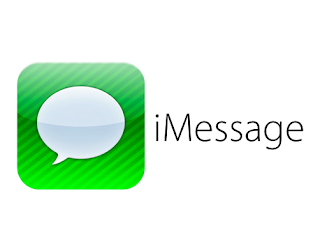 If you are using iPhone from a long time than it is quite possible that you might have faced issue with search in message and iMessage that when you try to search for a word in messages iPhone will show result only from few chats but not from all. Specially iPhone will not search in group chats. It is well known that search in iMessage is terrible, making searching text in iMessage poor. Even the latest iOS 11 have search issue in iPhone X/8. The iPhone X and iPhone 8,7 are also reported with such issues, infact are reported with bigger issue like any letter or word entered in search of iMessage, turns up with no search results. Apple needs to look this issue seriously in upcoming releases if iOS as many third party app developers has make similar feature working withour any complaints. Like searching for a message within iMessage so bad, yet searching within WhatsApp is flawless. iPhone X/8 and iPhone 6,7 users are facing issue while using carplay app to make voice call while seating in their car. When other person calls and iPhone 7 is connected via CarPlay to car, person on other hand hears voice distorted/ blurred which makes it hard or impossible for them to understand. On the other side when iPhone is connected via Bluetooth there are no such issue seen and the call works just perfect. 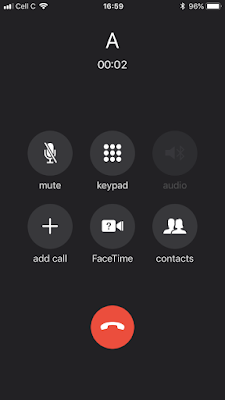 When contacted the Apple customer care sometimes the response is received that its issue with car manufactures, which is not at all convincing as the same car system works fine with earlier version of iOS and no such issue in voice call with carplay was reported. It's certainly an APPLE issue, As after upgrade to iOS 11.3 update and all of CarPlay calls are garbled. CarPlay works fine all but voice calls out. Sounds like broken speech. The issue is seen across all car like Beetle, BMW, Jetta etc. Even upgrade to latest iOS 11.3.1 does not fix the issue. Many iPhone 6s, 6 plus and iPhone 7 users after upgrading to latest iOS 11.3.1 or 11.3 are facing issue with their iPhone home physical button. 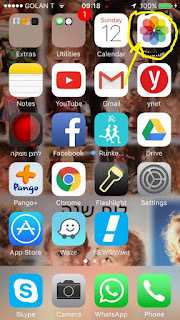 For many users the home button has stopped working after the upgrade and for some the home button is responding intermediately. Even after several hours of upgrade home button click is not working on iphone7 plus/6. Even affected users tried to reset the phones many times but that does not seems to fix the issue. So while the Apple customer support centre report it as a bug in latest iOS 11.3.1 but for some users the customer care replaced the iPhones with new one. There are reports of completely original iPhones malfunctioning after the latest updates. For some users the situation is even worst as iOS 11.3.1 upgrade just broke the speakers, vibration, and began crashing all the time. The sound seems to decreased after the upgrade and iPhone is not vibrating in iOS 11.3.1. Many iPhone 7 and 7+ users are facing issue with iPhone ear speaker (top speaker) that while making the calls even when the volume is fully up to 100% the sound from the ear speaker is very low and barely audible. While the issue happens, the speaker phone works, front/back cameras, just no sound out of ear piece speaker. While the ear speaker poor volume issue for some users is reported with fresh iPhone model and for some users it is seen after screen replacement. Many user find this issue after upgrade iPhone 7 plus to iOS11. But for most of the cases the ear speaker issue is reported after screen replacement. You should try below steps to check if it fixes the issue for you. The one reason for this can be that iOS have got caught in some software issue and in this case a normal restart or a hard reset to iPhone should fix the issue. Many iPhone X and iPhone 8/7/6 users are facing issue after upgrading to latest iOS 11.3 that while making calls speaker icon to change audio to speaker does not seem to be active and is greyed out completely. The pic here show an example of the same situation. Music and videos are fine through the iPhone speaker but the Voice memo not working.